Imagination comes alive on a magical table! 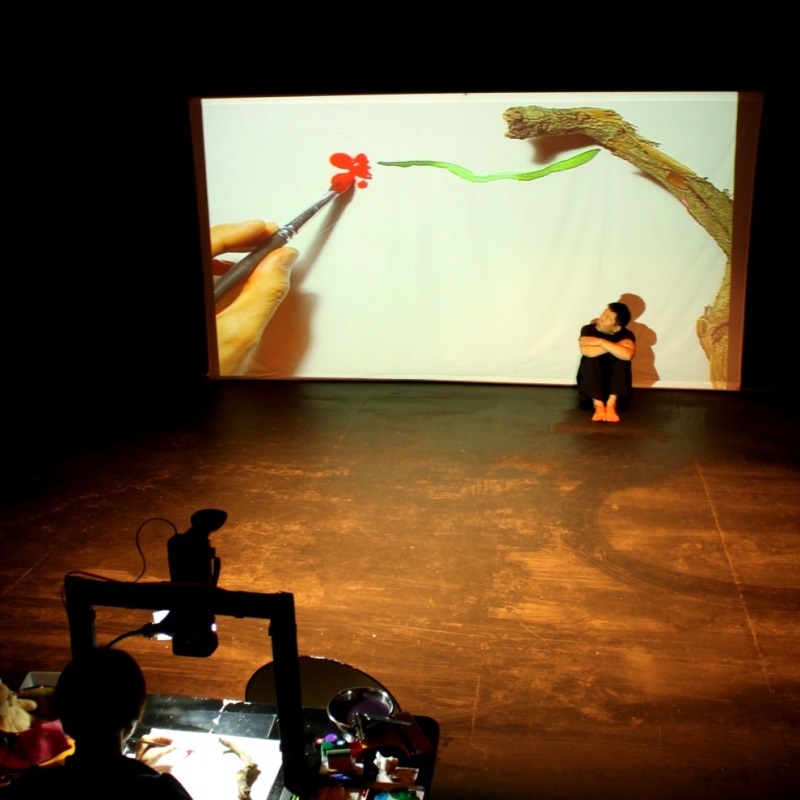 Objects and real-time drawings come to life through the interaction of actor and live video projection. Expect a multi-sensory experience where imagination becomes reality. Giant's Table mixes live animation with an interactive performance, transforming a small and normal table into a huge giant's table through digital imaging with a live video backdrop. The first part of the show comprises three different pieces, with two smaller scenes (affectionately dubbed Snack Time) set in between. The second part of the show sees the audience jumping into the Giant's Table for themselves, where they can interact with projected images drawn live by hand. A whimsical performance that encourages participation and puts the audience at the heart of the action.